No matter what kind of goals you set this year, the magic is in the follow-through. We all know setting goals is easy, making them happen takes consistent work. There’s something about that magical first day of the year where we all feel like we have a blank page. Here we are in the second month, and it’s time to see what’s written on that page so far. Is it things that move you in the right direction? Or, do you need to reevaluate and perhaps turn the page? Okay, enough with my book analogy. Here are some things that help me stay in the zone. Quotes: Motivational quotes might seem cliche, but they flood our social streams for a reason – they help. I usually scroll through my Facebook feed while I drink my morning coffee. Usually, I will come across at least one uplifting quote that lifts my spirits a bit. I am sure I don’t have to tell you that I also find a lot of negative things and I’ve become very familiar with the “unfollow” button. Do not feel bad about unfollowing some of the negativity. Create a stockpile of positive images, quotes, memes, and whatever pushes you forward. Reevaluate To-do List: Which tasks take priority on your daily to-do list? I find that it helps to “eat the frog” as they say, which means to do the task you dread the most first. Once the least appealing chore is done, the rest of your day feels so much lighter. Don’t let that heavy challenge weigh you down all day. It’s also empowering to complete the most difficult job. It propels you through the rest of the list with confidence. Cold Shortening: Nothing destroys productivity like a nasty cold, and there’s been no shortage of germs this year. Everywhere I go there’s a sniffling person. Clearly, people cannot stay home when they are sick; it’s not practical. So, it’s up to you to do what you can to help shorten the duration of your cold. 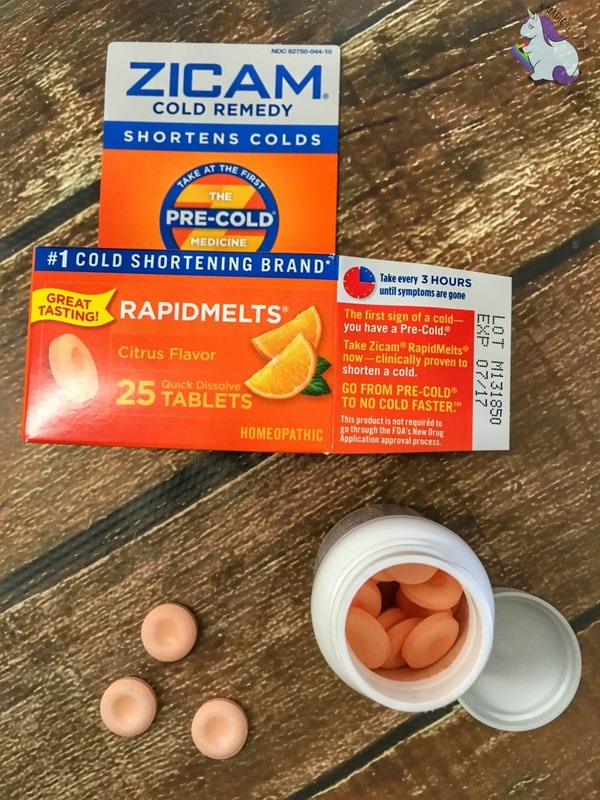 Take Zicam® Cold Remedy RapidMelts® at the first sign of cold symptoms. Our medicine cabinet is always stocked with homeopathic Zicam® RapidMelts® for easy on-the-go usage. They dissolve in your mouth without water, taste great, and are non-drowsy and non-habit forming. As soon as you feel a cold symptom, begin taking Zicam® RapidMelts® to help get your better back™, faster. Support System: Find your tribe of hustlers. You don’t even need to all have the same type of goals, just the power to help each other stay on track. 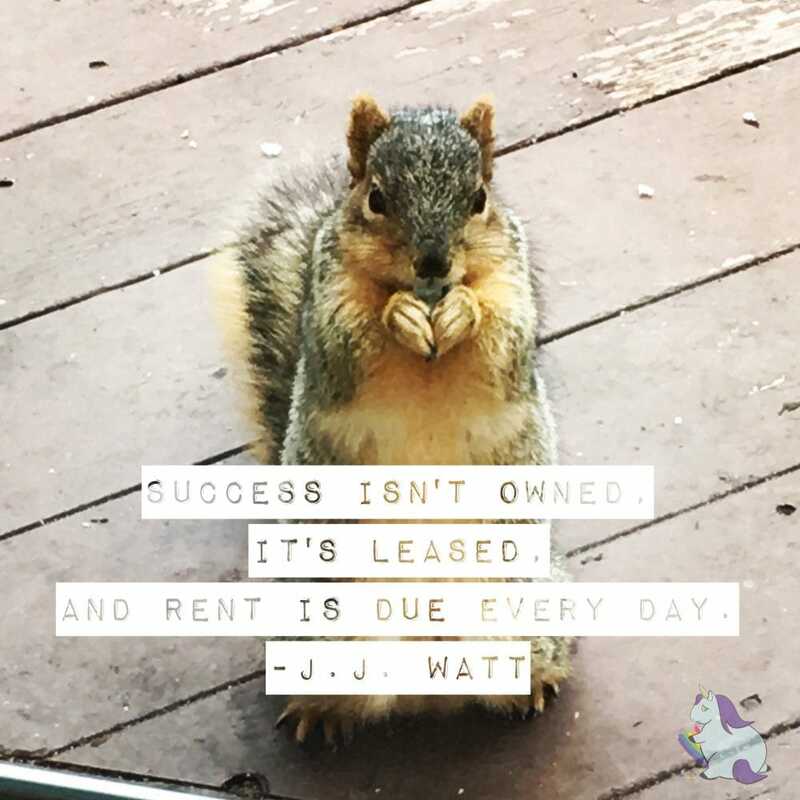 Get an accountability partner, create productivity challenges for each other, or find some sort of system that works for you. If this isn’t your inner circle, there are plenty of Facebook groups out there that help. Goal Tweaking: Take a look at your big plans for the year. Are they a bit much perhaps? I know I had to take mine down a notch. I mean, it’s good to dream big, but it’s also more rewarding to achieve your goals and cross some things off the list. Now that you are a month in, you should be able to tweak everything to a more achievable level. Do you have any tips on how to stay focused on goals? I totally agree that you can always start over with your goals. Don’t let January 1st get you down. Any day of the year can be the 1st day of a new OR renewed goal !!! I am not secure in the knowledge that will people come to work sick. I am not supposed to wear perfume it make some folks will. How does someone use a medicine to keep their colds under control as they spread it. Rican is great it will shorten the time away from your desk. How about work from home during brief common cold. Let a good drug help you. Oh, trust me, I wish people would stay home while sick. It’s just in reality, that’s not how it goes. A lot of people don’t get sick days, or cannot take off work for a stuffy nose. At my old job they wanted me there unless I was vomiting. Now that I work from home, I definitely keep my germs away from others. 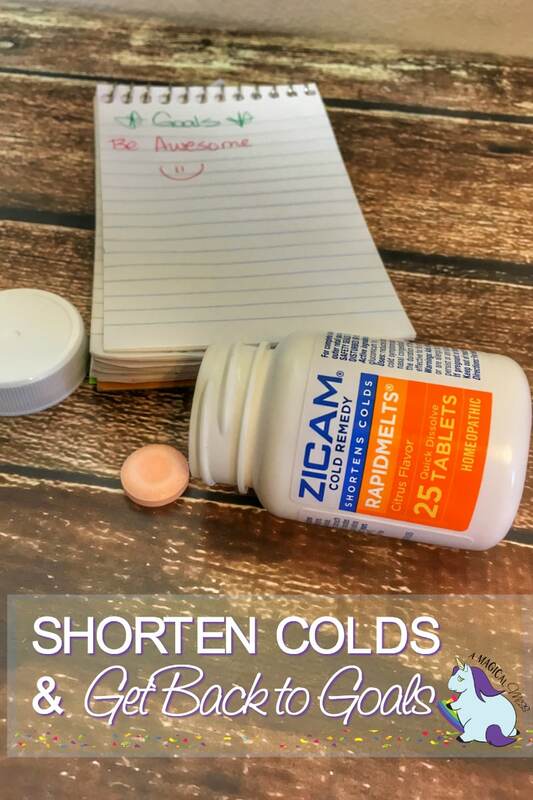 I’ve used zicam a few times, I love it! Works fast for me and lasts as well. My husband and I both use it. And once my kids are older they will too. Soon as I sneeze or my throat feels funny I take one right away. This is really a nice site that I know my friends and I will enjoy it!!!! I agree, Goals are things we can achieve if we set our minds to it. 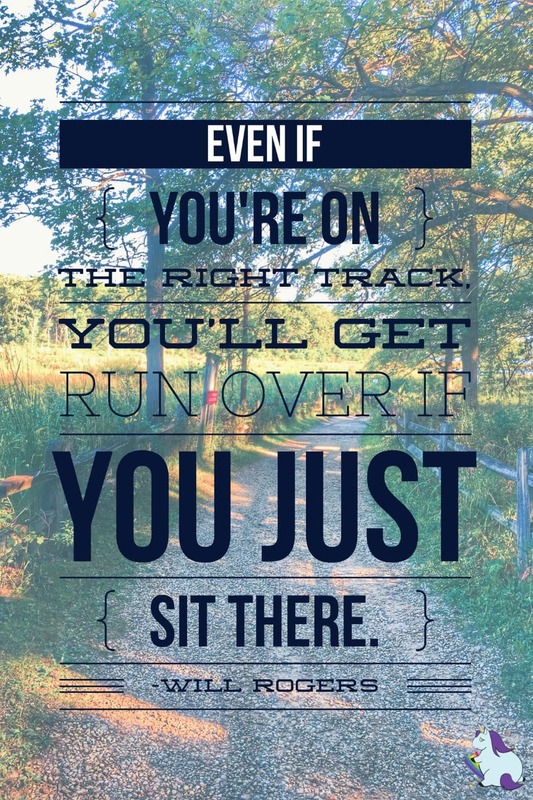 Set an achievable goal because if you set it too high you may get discouraged but if you take that 5 mile walk and turn it into 10 half mile walks then before you know it you have reached your goal 1/2 a mile at a time. And also keep Zicam in your cabinet for when you feel that cold coming so you can continue to reach your goals and stay healthy. Zicam is my go to medicine when i have a cold. My Zycam works like a charm but is not in my budget.